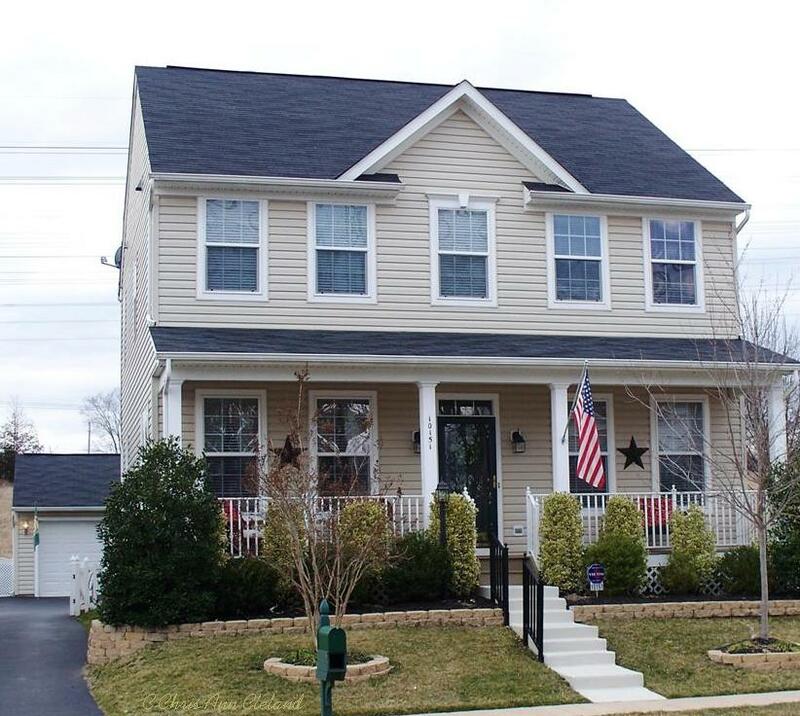 One of the most popular style of homes in Bristow’s community of Braemar are Carriage homes. These smaller, single family homes with detached garages are a great alternative for many buyers who may also be looking at average to larger sized townhouses. Not all Braemar Carriage homes were built with detached garages. Some original owners opted to not have the garage and instead have an asphalt parking area. No matter whether it’s a detached garage, or parking area, it is in the rear of the Carriage. T he Parkdale is the largest of the Carriage homes in Braemar. 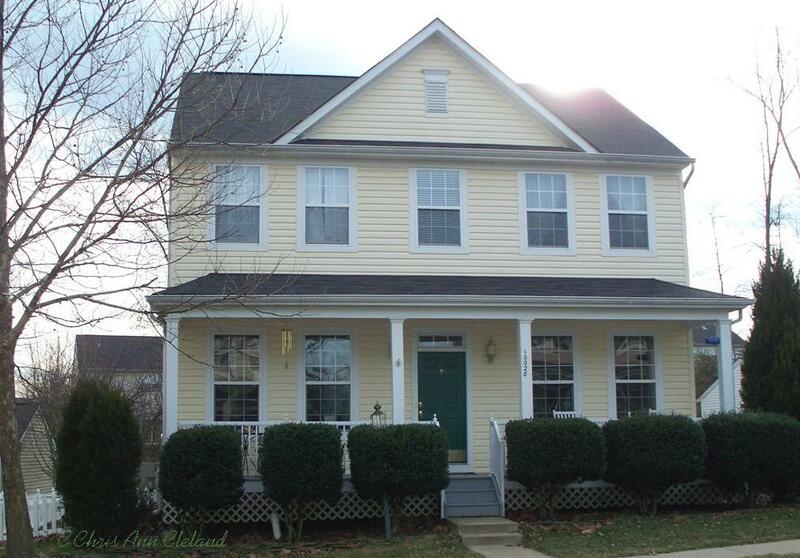 It is one of two styles of Carriage homes that boasts four bedrooms on the upper level. The other is the Oakdale. The remaining, smaller Carriage homes (from largest to smallest) are the Norwood and Maplewood and have only three bedrooms on the upper level. The main level of the Parkdale boasts a spacious kitchen with island and morning room that is open to the large family room. A nice extra only found in the Parkdale is the butler’s pantry that transitions you from the kitchen to the formal dining room. You will also find the laundry room opposite the butler’s pantry. And in true colonial fashion, the formal living room is opposite the formal dining room. The bedroom level gives another special extra only found in the Parkdale: a sitting room in the master suite. Some owners may not have chosen to frame the sitting area with the formal pillars, so the master bedroom may simply appear much larger. The basement, as with all the Carriage homes, may be finished to include an additional third bathroom, den and a recreation space. The floor plan for each level of the Parkdale is at the end of this post. If you are thinking of buying or selling a Carriage home in Braemar, I’d be happy to meet with you. For sellers, I offer a free customized market analysis of your specific home’s worth. I’ve lived in Braemar and been a full-time Bristow real estate agent since 2005. No one knows Braemar better! Other Braemar Carriage homes includes the Maplewood, the Norwood and the Oakdale . Carriage homes in Braemar are always in demand by Bristow buyers. They offer a great value for the money. 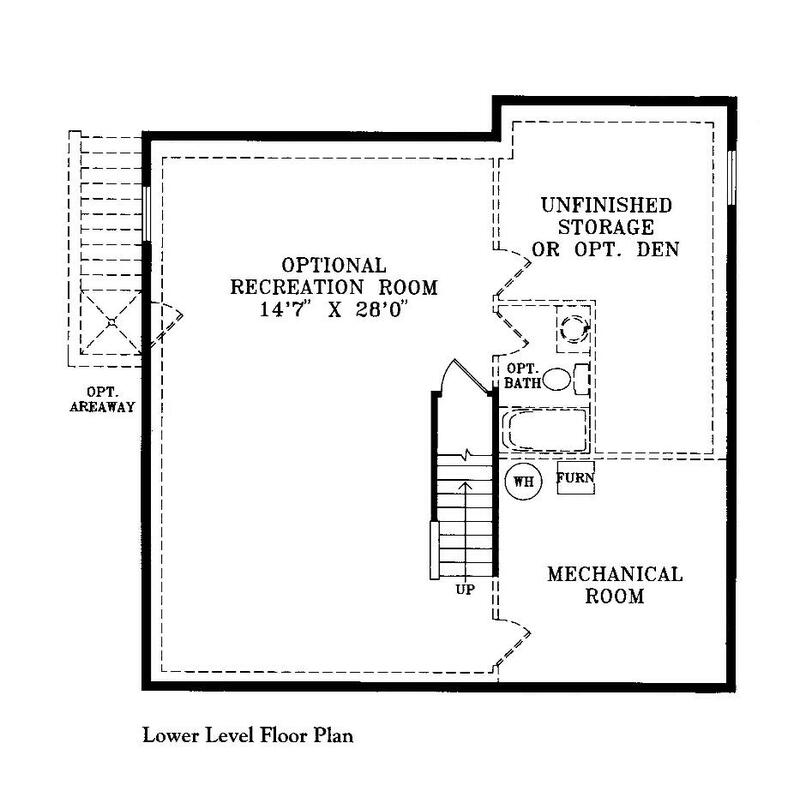 The space of an average to large townhouse with the yard and separation of a single family home. Some Braemar Carriage homes opted for the two car garage, always detached and situated behind the home, while some original owners opted not to have the garage, but rather an asphalt parking area. The Oakdale is the smaller of two four bedroom models offered by Brookfield Homes. Repeated many times throughout Braemar you can see the covered front porch elevations, though there were two elevations with a more flat and basic front. The main level of the Oakdale is very similar to the Norwood, but with a bit more elbow room. The kitchen, with island, is open to the family room. Formal living and dining rooms flank the front foyer. While the Norwood offers larger formal rooms in front, the Oakdale is more suited to how most people live, with the kitchen and family room getting the majority of the main level space. The obvious difference between an Oakdale and Norwood comes when you hit the bedroom level. The Norwood’s design limits it to three bedrooms and two bathroom on the second level. In the Oakdale, you’ll find four bedroom and two bathrooms. 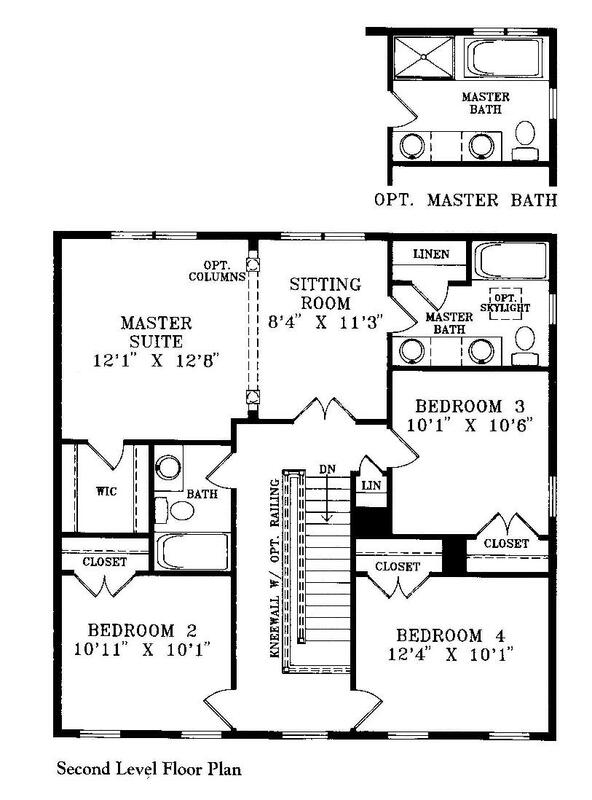 The Master Suite may, or may not, include the optional garden tub which was not an option in the Norwood or Maplewood models. The basement may be finished to include a recreation area, den/additional bedroom and full bathroom. 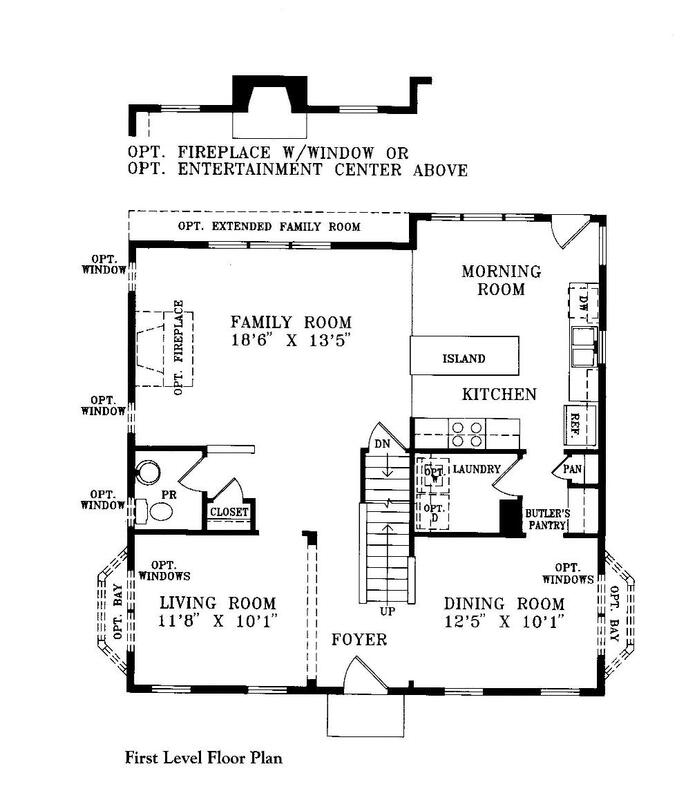 The floor plan for each level of the Oakdale is at the end of this post. Other Braemar Carriage homes includes the Maplewood, the Norwood and the Parkdale.